Now That's the Spirit, Airlines! Oh, Spirit Airlines, now look what you've done. Not only did you outrage the public by announcing that you would start charging up to $45 each way for passengers who bring a bag on board one of your planes and stow it in the overhead compartment, but you've now allowed at least five major airlines to get positive PR out of your own public relations nightmare. Those five airlines -- American, Delta, JetBlue, United and US Air -- have agreed not to follow Spirit in instituting fees for carry-on luggage, according to New York Sen. Charles Schumer, who along with five other Democratic senators, including Maryland's Ben Cardin, said he was hopeful that even more carriers would follow suit. The senators have even gone so far as to support legislation that would tax airlines if they did charge carry-on fees. "This is a giant step forward in our effort to make sure you can take a carry-on bag when you fly without being charged," Schumer told The Associated Press. 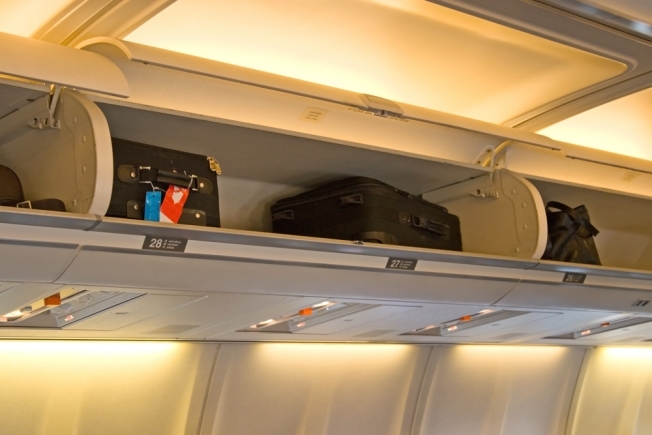 Since 2008, fliers have had to deal with charges for everything from food to checked luggage. But Spirit's carry-on fee, Schumer said, "was a step over the line." Schumer said he planned to meet with Spirit Airlines leadership in the coming week. Maybe they can meet in one of Spirit's overhead compartments. That's where CEO Ben Baldanza stuffed himself in order to make a YouTube video in an effort to try to spin the new charges in a positive way. His attempt at sugar-coating the move turned out to be a fee fail. But hey, at least Bob agrees with you, Spirit! Will any of this make Spirit reverse its decision? It's hard to say how attached the airline is to its new-found source of income. But in the end it somehow made the other airlines that are charging outrageous fees for everything else seem all warm and fuzzy. And in the world of PR, that's pretty hard to do. So a hearty "Thanks!" goes out to Spirit from all your competitors.